Dental insurance: Do I need it? Even if your strict oral hygiene habits mean you’re pretty halo worthy on the dental care scale, you may still need the help of a good dentist at some point. And, as an adult, if you don’t belong to a group that benefits from free NHS treatment, you’ll need to pay for appointments and dental work at the point of use. However, if you thought opting for private or NHS treatment was the only choice open to you when it comes to taking care of your pearly whites, you’d be wrong! It’s possible to take out insurance to help fund any dental work you might need, but how does it all work and do you really need it? 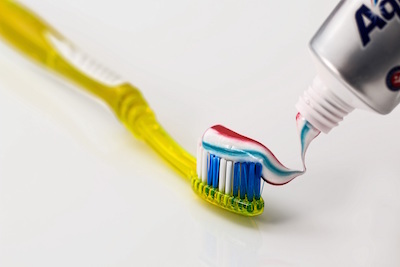 We take a look at the fundamentals of supporting your daily brush, floss and wash with dental insurance. For a monthly or annual fee, dental insurance covers you for some of the costs associated with check ups, scale and polish, tests, emergency dental treatment and the illness oral cancer. The amount you receive towards each type of treatment is likely to be capped at a particular level and you are usually only able to claim a certain percentage of the fee, which is reimbursed to you when you submit a claim after treatment. Your policy is likely to limit you to making a certain number of claims or limit the amount you can be reimbursed for different types of treatment over the course of a year. This means that in addition to paying your premium you will likely have to top up your spend to completely cover the cost of treatment. You can take out dental insurance whether you are a private or NHS patient, however, some policies cover NHS treatment over a certain amount only. You should be able to select the dentist you go to providing they are not related to you or linked to your family. Another option is to take out a dental treatment plan with your dentist, whereby they estimate the cost of the work you will need for the year ahead and you then pay a monthly fee based on this directly to your insurer. In turn, your insurance provider then covers your dental costs. While there are pros and cons to both approaches, you will probably have already realised that dental insurance will offer the most value when you require a lot of treatment. Would dental insurance be cost effective? Like other types of insurance, dental insurance has its exclusions (more on that below) such as not covering pre-existing conditions. So, if you’re thinking of taking it out because your dentist has just informed you that you need a lot of work done, now may not be the best time. Similarly, if your teeth have always been in such exquisite condition that you very rarely need anything more than a six-monthly check up and occasional scale and polish, insurance may not be for you. Where dental insurance will come in helpful is if you require any procedures, emergency treatment and don’t have the savings to cover the cost. In the private sector providers are able to set their own fees for dental treatment and it’s perfectly possible for you to obtain several quotes to price up where you would like to take your business. However, as the diagram below shows, treatment in the NHS fall into one of three price bands. Band one covers basic dental care like check-ups, X-rays, moulds of your teeth. £19.70. Band two includes root canals, fillings and removing teeth £53.90. 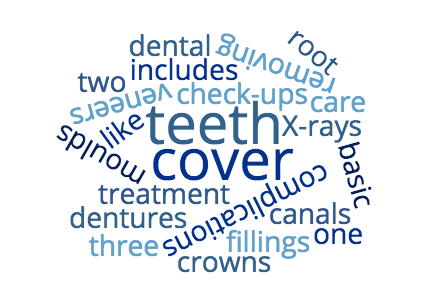 Band three covers complicated treatment such as veneers, crowns and dentures. £233.70. NHS charges in England are due to increase by 5% on April 1st 2017. There are also some nuances of NHS treatment you should be aware of when estimating costs you could potentially incur. If within two months of treatment you need something else done that falls into the same band or lower, you won’t have to pay any extra. However, if you go over that two-month period, you’ll need to pay again. This is one to watch out for because if you struggle to get an appointment with your dentist within that timeframe you’ll end up paying more. If you or your employer pays into a health insurance plan for you, it’s possible you may have some dental cover already in place. Typically, these types of policies allow you to claim a certain amount per year towards things like trips to the opticians and eye care, dental appointments and treatment and physiotherapy too. If you’re already a member of such a scheme you should read your policy carefully to find out what exactly you’re covered for. It’s likely emergency dental treatment could be included and you may even find you’re covered if you take an overseas trip too. It’s possible the cap on how much you can claim could be quite low, so in the event you need more expensive treatment you’d need to come up with extra to cover the difference. Whatever caps or excesses are in place, you’d also need to pay the cost up front and then be reimbursed back the qualified amount. What's not covered by dental insurance? Dental insurance won’t cover you for pre-existing conditions or ailments relating to pre-existing conditions. Providers usually put in place a claim exclusion period at the start of your policy too so that you’re unable to claim for treatment straight away. The length of these periods varies by provider and can also differ according to the type of treatment e.g. emergency or oral cancer cover. Some providers also require that you’ve had a check up in the last year or stipulate that you can’t claim for any work identified as needed during your first check up. If you’ve had oral cancer before, most providers won’t cover you for future treatment, though some may after an agreed length of time has passed. Most insurers offer cover while you’re on your travels but you should check your policy for any exclusions or time limitations just to be sure. And, when it comes to aesthetics, limited cosmetic treatment cover is usually only offered as part of the most expensive policies. However, if you crack a tooth or get a dental infection, you’ll usually be covered (up to any maximum limits in place), which can be very reassuring when you are in pain! How do I find the best dental insurance providers? Whether you already have dental insurance or are new to the concept, carrying out a little research is key to finding the best policy for you. As dental insurance usually runs annually, auto-renewing your policy may not offer you the best deal. With real customer reviews of products provided by the big players like DenPlan and Bupa and other specialists, why not take a peek at the SMP best dental insurance products?